Planning provides guidance for the growth, development and redevelopment of the City. We provide customer service to residents, businesses, and developers for the entire land development process, from annexation to zoning. The City of Auburndale is an Open for Business community. Open for business is the nation’s !st regional streamlined permitting initiative. The Comprehensive Plan is a long-range policy document that provides a general framework for how the City should grow. The Comprehensive Plan contains policies and a future land use map that ensures development is sensitive to the environment, fiscally responsible, and meets the social and economic needs of current and future residents of Auburndale. The Elements of the Plan include Future Land Use, Transportation, Housing, Conservation, Recreation and Open Space, Intergovernmental Coordination, and Public Schools. The Land Development Regulations are a document that guides growth, development, and redevelopment of the City and establishes a review process for all development plans.  The purpose of the Land Development Regulations is to promote and protect the public health, safety and welfare of the residents and property owners of the City of Auburndale. A Zoning Map helps to implement the Land Development Regulations by establishing certain districts such as residential, business, or industrial districts.